Space exploration inspires passion, boldness, and curiosity. INSPIRING CORPORATE KEYNOTES AND WORKSHOPS, AND SCHOOL PROGRAMS – We are astronauts, educators and other professionals, providing tools to positively impact your business, your workforce, your students. We help you and your people to optimize your Universe, to unlock individual and team potential to reach and inspire the highest achievements! 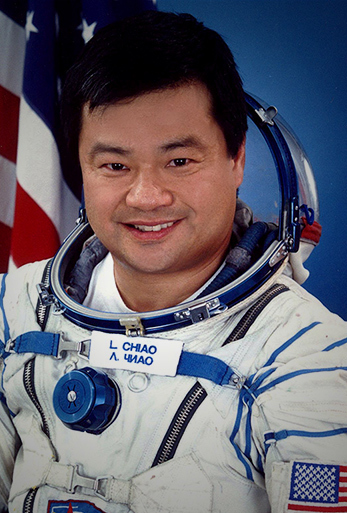 Using personal spaceflight experiences and stories, Dr. Leroy Chiao and team show you ways to elevate your business through uniquely inspiring corporate keynotes and workshops. We focus on today's relevant topics such as combatting complacency, and how to bring your organization to the next level through enlightened leadership with innovative thinking. Our workshops build on the keynotes, providing more detail and strategies, plus real-world tools for effective communication and crisp execution. The OneOrbit™ school programs are all about Science, Technology, Engineering, Arts and Mathematics (STEAM), but also include messaging on character, hard work and making the right choices. The programs includes personal stories of struggles and overcoming obstacles to reach the highest goals - in space! Unique curriculum developed by a NASA-certified Master Science Teacher is also included. This package enhances existing lessons, to continue OneOrbit messaging throughout the school year. Educator professional development workshops, and innovation mentoring are also available. Our corporate, school and community programs motivate people of all ages to overcome obstacles and find the courage to follow their dreams. But the OneOrbit Mission does not end there. We use space to emphasize the importance of planning and striving, while engaging the imagination. OneOrbit is building a community of innovators who will find personal power and freedom through the inspiration of space exploration. The OneOrbit Mission is for everyone! We offer corporate, school and corporate collaborative programs that can be customized to your needs. 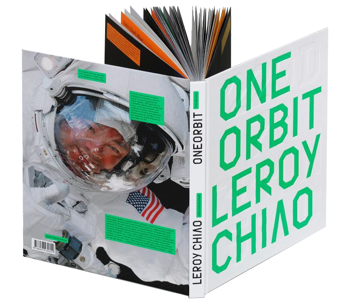 Leroy Chiao is a former NASA astronaut and space station commander. This book includes photographs from all four of his spaceflights, most of them taken by Dr. Chiao himself. "As a veteran conference planner, I can tell you this ­ being rated as the top two presentations out of our entire conference lineup of very polished speakers ­ it just doesn't get any better!" "One of the best presentations I have ever seen"
© 2019 OneOrbit™ All Rights Reserved.